A leopard of the Concrete Jungle, is there such a thing? Her stare is unwavered from all the bustling noise around her, after all she is stalking on her prey. Not a single movement goes unnoticed, as she calculates her every move. The leopard pounces as others stare her down, what’s the reason for her hunt they ponder. It’s the Barney’s warehouse sale at the corner of 8th Ave she says. Yes I just made up a story of myself as a leopard, hey I have a big imagination. As crazy as it is, I hope you enjoyed it because after all don't we all relate? that's how we really are during a big sale. Anyway, today marks the last giveaway of my 1 year anniversary celebration. I hope all of you who have won enjoyed the process and hopefully will enjoy your prizes just as much and thank you to all who have entered. I have partnered with Shop Miami Style, an online boutique that celebrates local designers and gives you one of a kind pieces whether it is swimsuits, accessories, or clothing. Check them out, they have amazing selections, the leopard jumpsuit from Ramona La Rue is divine, so lushes and chic and can be found on their site. They have been kind enough to give one of my readers a $50 gift card to shop online. I have made it very simple to enter, just follow the rules below. 1. Like Shop Miami Style on Facebook here. 3. 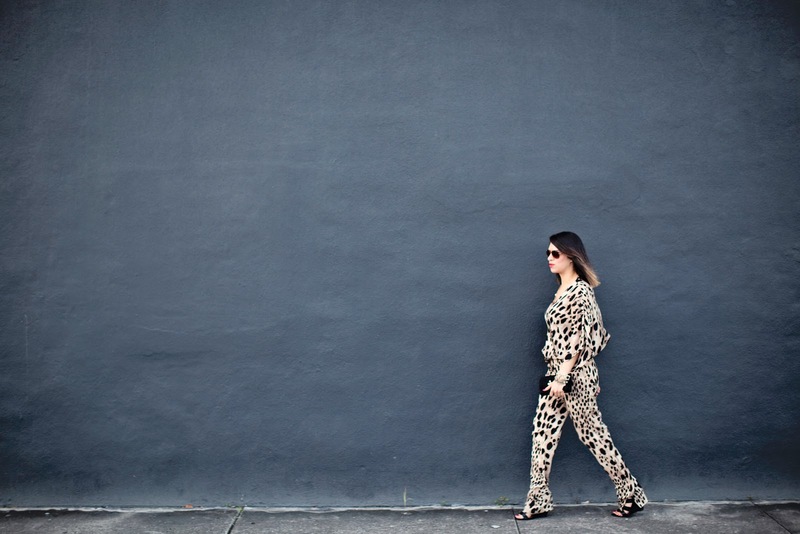 If you already like Shop Miami Style and Chic Streets and Eats than just skip to step 4. 4. Leave a comment on this post (scroll down below) letting me know you liked us on facebook, why you want to win and your email. 3. Giveaway ends November 6, 2012, winner will be announced November 8, 2012. I never met a leopard print I didn't want to make out with and happy anniversary, Sweet Ana!PICK ME!!!! Hee hee. You look gorgeous, lady!! I'm completely loving those shoes. Love love love your outfit, you bring JUNGLE in town: so cool!!! And them shoes, kill it. I liked you and Shop Miami Style on facebook. So for me, shopping is a happy and fun workout! Wow, love the outfit and the photos! So great. I like your little story :) What a cool giveaway- I like you both on fb. Who wouldn't want more fab miami prints in their wardrobe?! That looks like a great store. Meow meow...you look fab! Love the drama in these pics. I want to win because everything in that shop is amazing! I think I'm in love with the Carlyle dress. It's gorgeous! And I want to win because its shopping. I liked both facebooks (Lisette Cruz). I want to win because I could use the extra cash for clothes! I like you on Facebook and the ShopMiami. I wish I had your fashion courage!!! I posted this back on October 31, but had to post again because for some reason my comments aren't publishing? ?